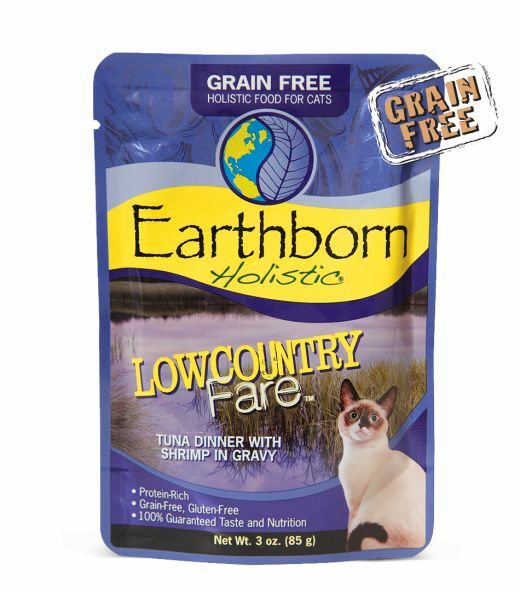 Home » Earthborn Cat Grain Free Lowcountry Tuna Pouch 3 oz. Earthborn Cat Grain Free Lowcountry Tuna Pouch 3 oz. Calorie Content: (M.E. Calc.) 784 kcal/kg, 67 kcal/3 oz.